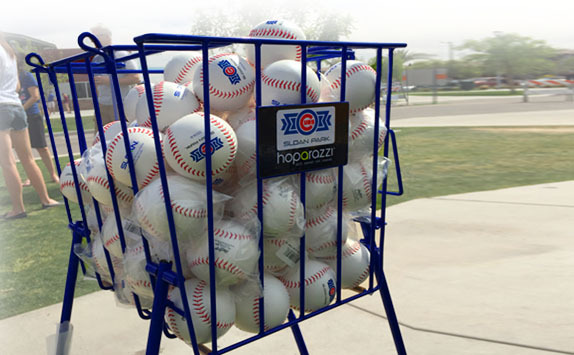 Introducing the new Hoparazzi Baseball Hopper! Our hopper for baseball has been used at the Cubs spring training facility, Sloan Field, for years and are finally available to the public. They feature a unique spring-loading system that makes gathering baseballs fast and easy. The integrated wheels move effortlessly across the field. The adjustable handles also convert into sturdy legs. It’s a must for any baseball team.